Once pressed, I put the hooked part on to the backing I want to use. 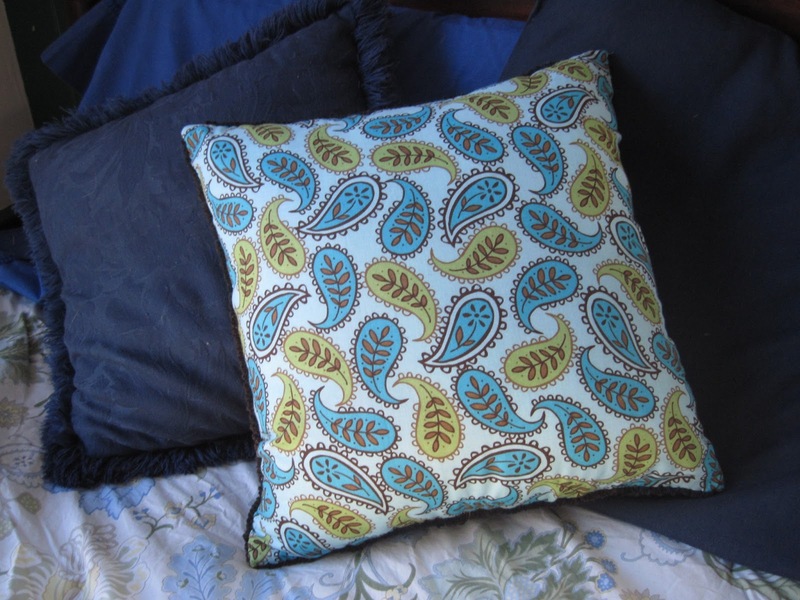 For some pillows I use quilting cotton for the backs. 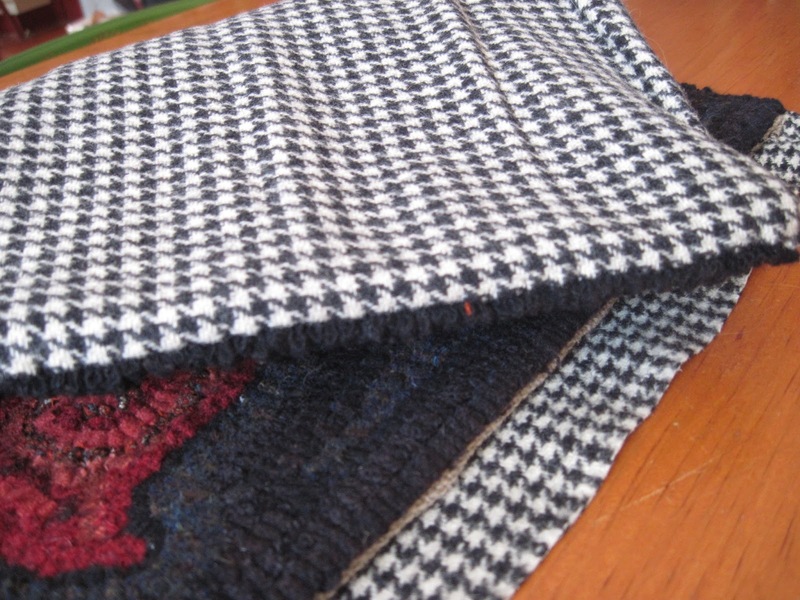 For this piece, my customer wanted hounds tooth check wool. I place the hooked piece over the backing and then cut the backing approximately the size of the piece plus the serged edge. You will want to have the right side of the backing positioned so that it’s on the “outside” – just as the pillow will be when finished. I then pin it in to place. With the hounds tooth check it was very easy to keep everything nice and square, because when I started stitching I just picked a stripe and followed it. 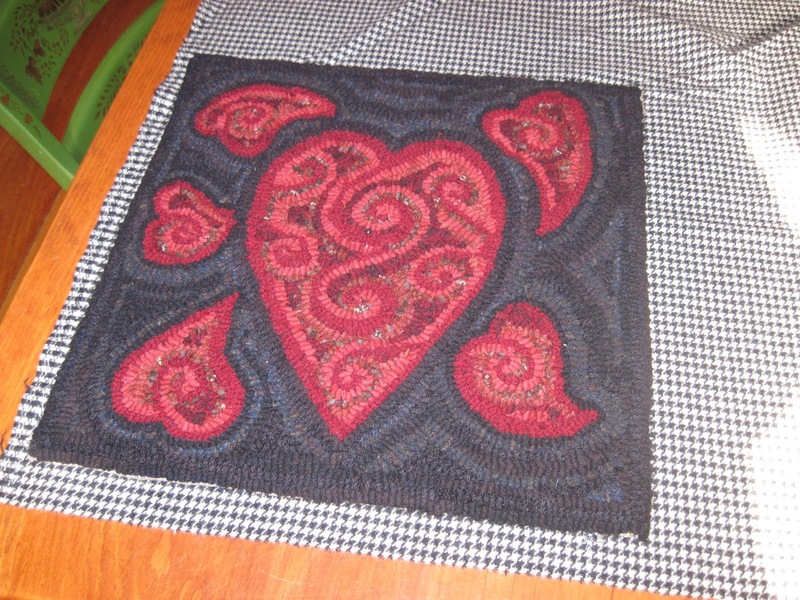 My previous project had a paisley back, which is more forgiving in terms of angle of application to the back. 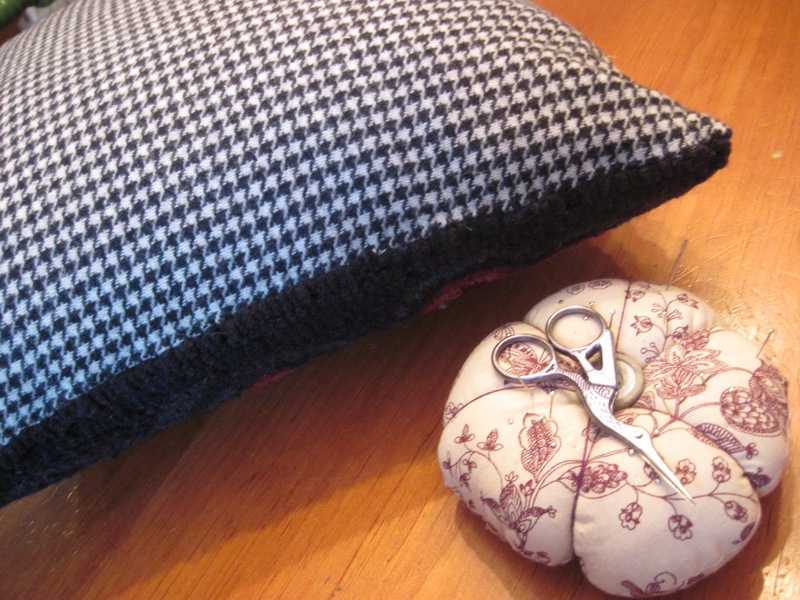 Once you get to the bottom, you may fill the pillow with whatever you’d like for stuffing. 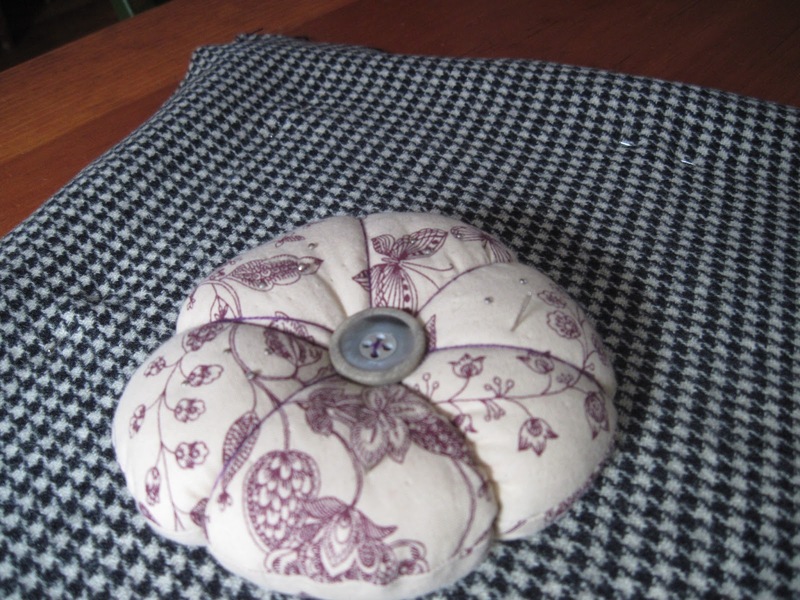 I have been using pre-made pillow forms. 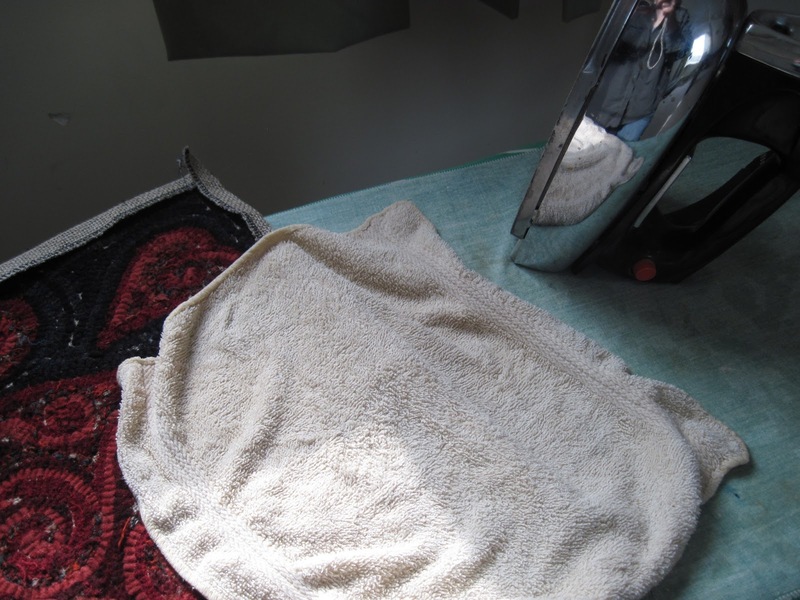 In this particular case I used a 16″ x 16″ pillow form in my 15″ x 15″ case – it made for a nice fluffy pillow. 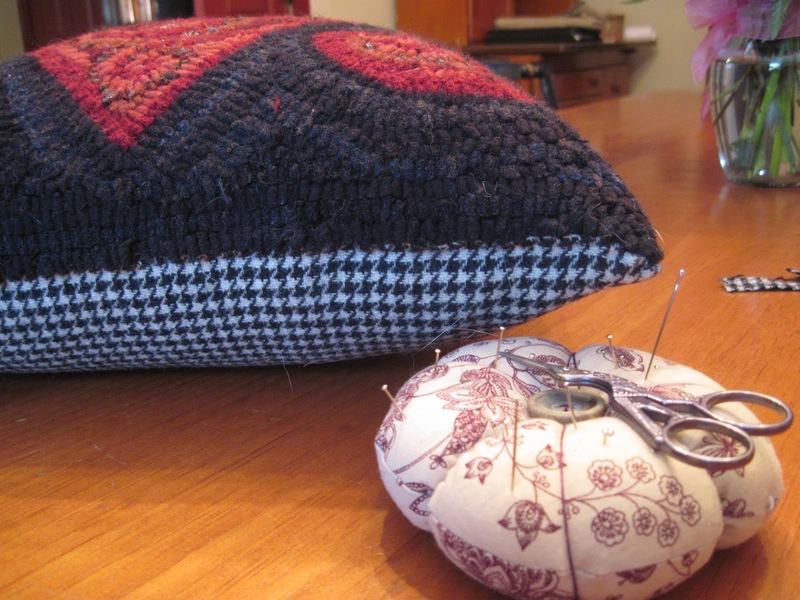 When you have your stuffing positioned the way you want it inside the pillow, you are now ready to just stitch the bottom shut. This can be challenging if your pillow is really full, but yes, you’ll get through it! I hope this helps for those of you new to pillows to see how easy this can be. 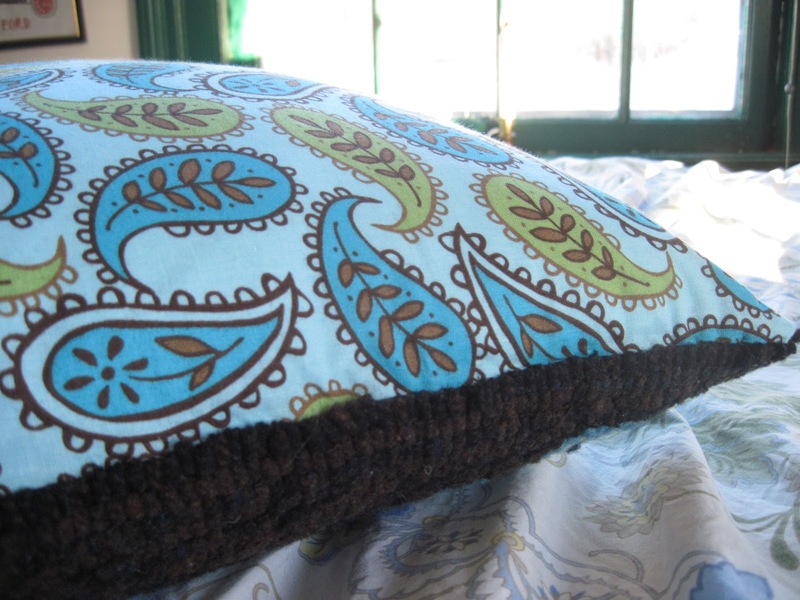 You can do cording and other methods, but I really like this because it makes the entire front of the pillow hooked, and actually involves less hand sewing than you would do on a typical mat binding. Sometimes you gotta get up out of that chair! Thank you so much! This is exactly the info I needed. I am relatively new to using a sewing machine. Can you tell me which stitch you used and will any thread be ok? Much appreciated. Lovely hooking! Hi Emily – Thank you! 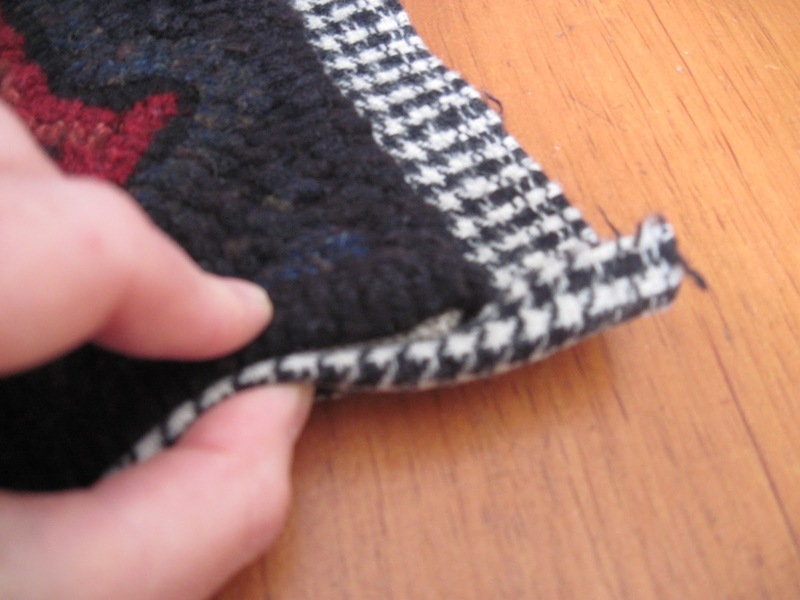 The stitch used to attach the pillow back to the hooked front is done by hand. 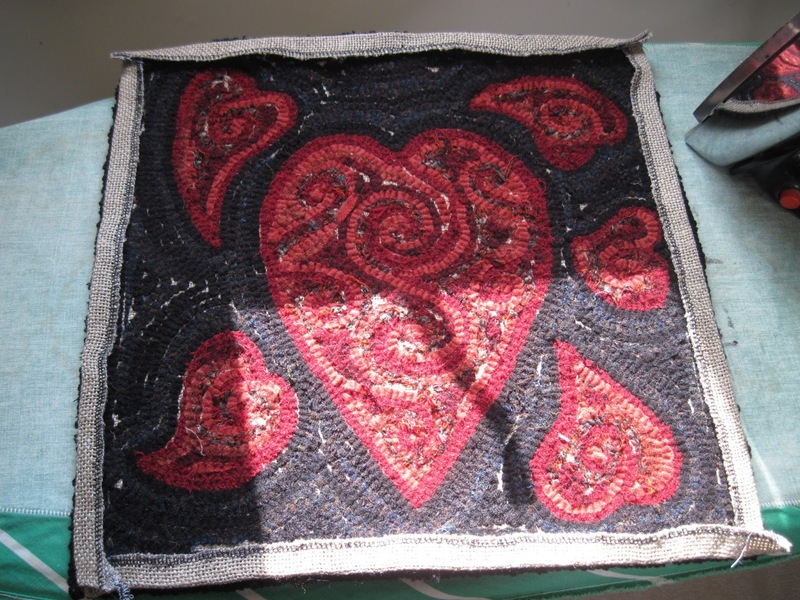 You really can’t use a sewing machine to do that stitching. I will be doing a video soon on the binding stitch, which is the same stitch used for both attaching rug bindings and attaching pillow backs. The thread you want to use for this hand process is anything that will be very strong and not break when you pull it tightly, which is necessary during the process. 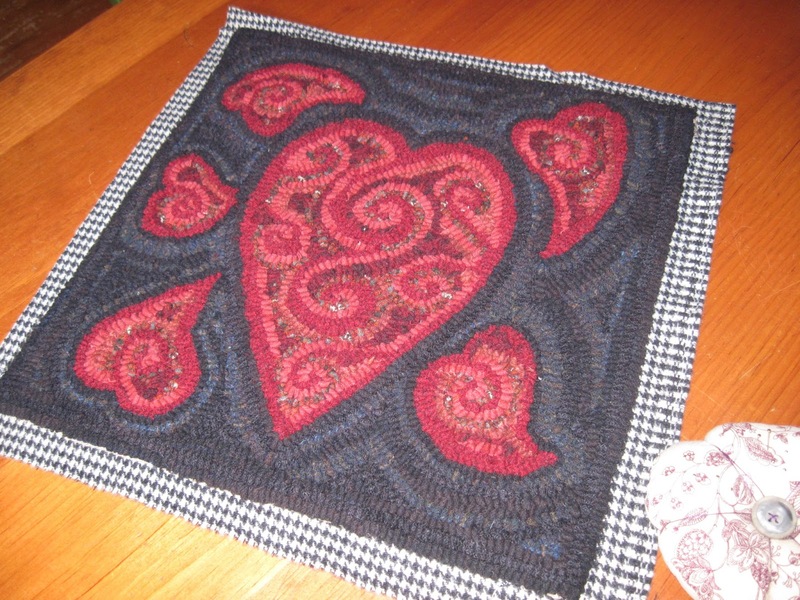 Diane, my shop has everything you need for rug hooking. 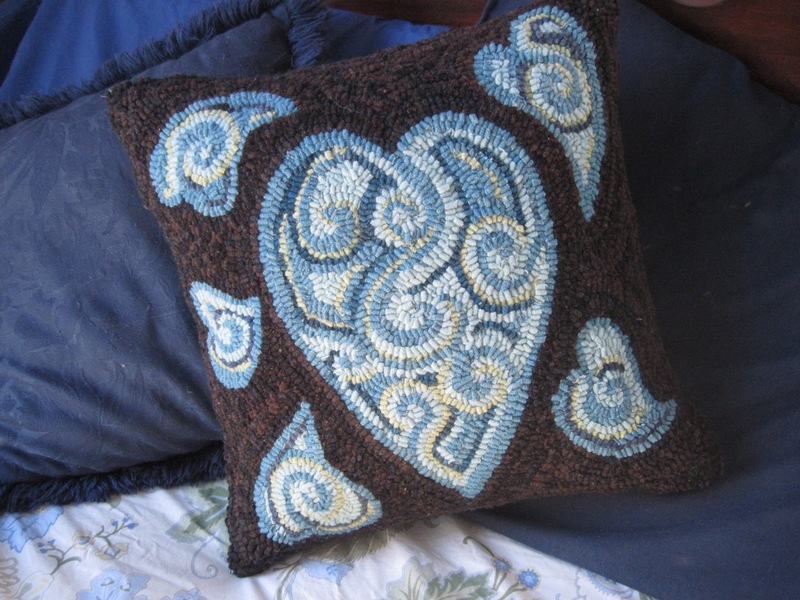 While you could just click the “shop” tab at the top of the page, here is a link to take you directly to the Etsy shop: https://www.etsy.com/shop/ParrisHouseWoolWorks I can kit any pattern in the shop. Some are particularly nicely sized for pillows, but almost any, within a certain size range, could be made in to pillows. 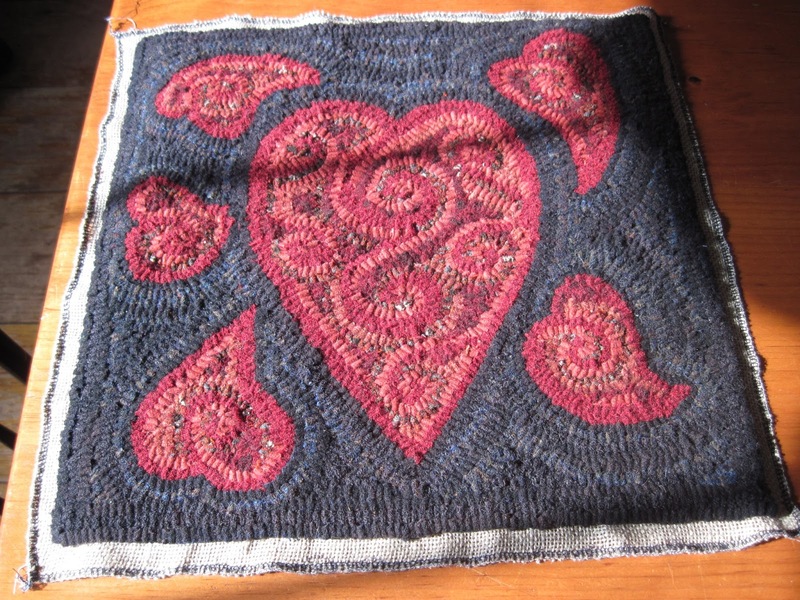 You can also use the contact tab to send me a note about specifically what you are looking for, or email me at parrishousewoolworks@gmail.com. Thanks! Hi Paula. I have not experienced that problem. 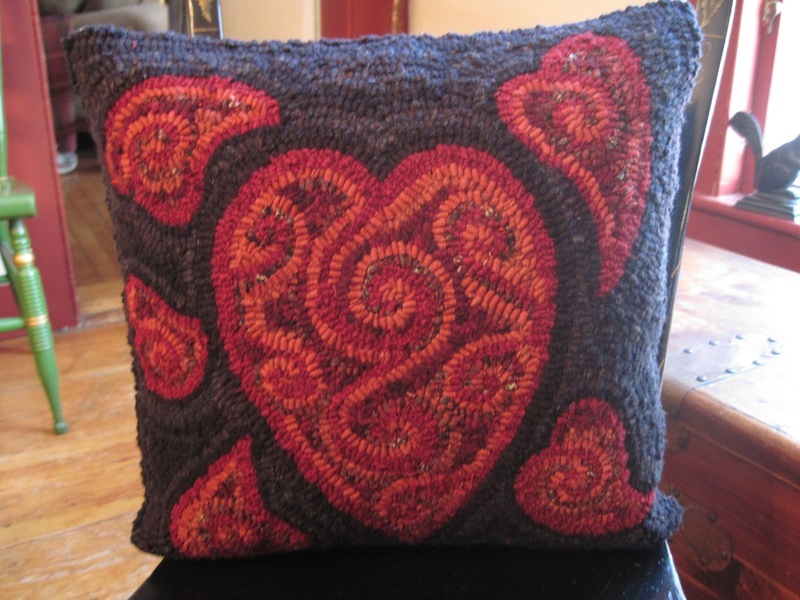 If you want to email me at parrishousewoolworks@gmail.com we might be able to figure out a solution together. It may have something to do with the stitch you are using as you put the backing on? Let me know!